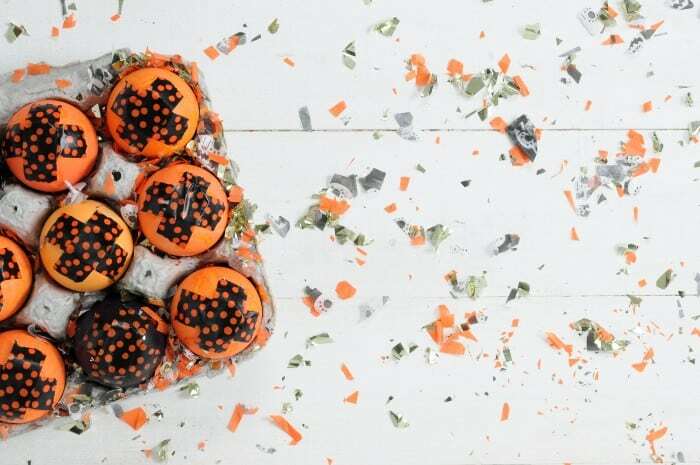 These pumpkin carving ideas are unlike anything you’ve ever seen. 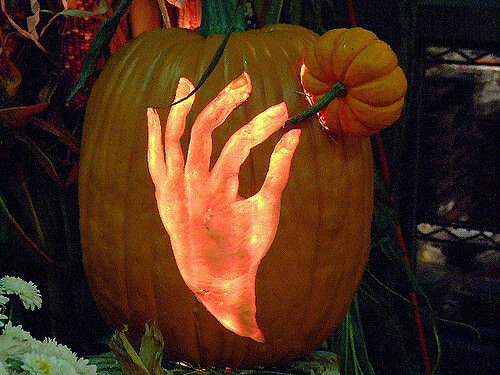 Get inspired to go big this Halloween with these amazing pumpkin carvings! If there’s one tradition we participated in every single year when I was little, it was pumpkin carving. I have four brothers, and let’s face it – they loved getting their hands dirty! I didn’t love the smell, but I always loved the finished result . . . I just can’t resist a carved pumpkin with an amazing design. A standard jack-o-lantern was the best I ever did, but now that I’m older I’d like to try something a little more detailed and impressive. 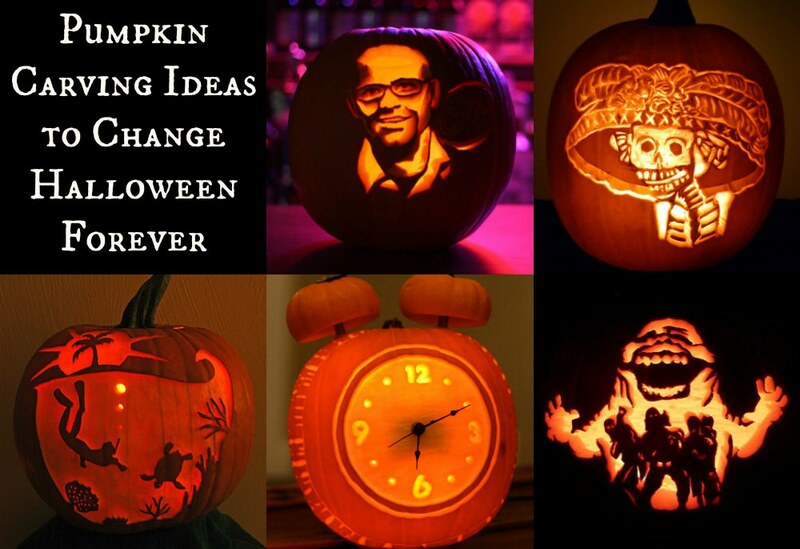 If you want to be inspired too, I’ve put together a collection of 16 amazing pumpkin carvings. Before we dive into the pumpkin carving ideas, I want to give you some important pumpkin carving tips that might help you. These are things I’ve learned over my years of carving pumpkins and I think they might help you too (and of course, leave your tips in the comments!). Pick a pumpkin with the right shape. The most important things to note are that the bottom is flat (for no rolling), there are no bruises, and the stem is sturdy so it doesn’t break off. Cut the lid at an angle or cut through the back. You probably already know this one, but if you cut straight up and down, the lid is probably going to go straight down in (especially as it dries). Also consider cutting the pumpkin from the back. 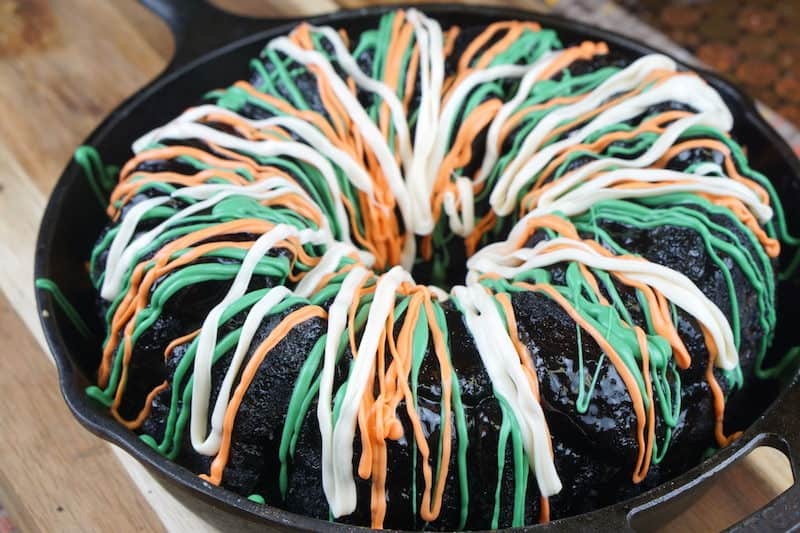 This maintains the structural integrity of the pumpkin a bit better, especially as you are carving. Just buy a pumpkin scoop. If you plan to carve pumpkins every year, invest in a special scoop. Using a regular spoon is a pain and ice cream scoops are bulky (at least mine is). The pumpkin scoop is specially designed to be lightweight and it works really well. Get intricate with special tools. 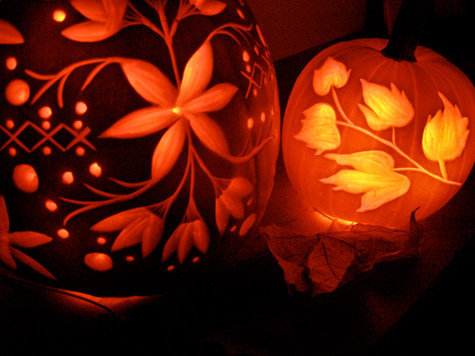 The really detailed pumpkin carvings – like the ones you see below – use special tools. The kits in the link offer sculpting tools, loop tools, scrapers, and saws of different sizes. Start easy and work your way up. Don’t try to carve something too detailed out of the gate. I recommend searching for free pumpkin stencils online or purchasing a book. I like the stencils of medium difficulty. Work quickly once you start carving. 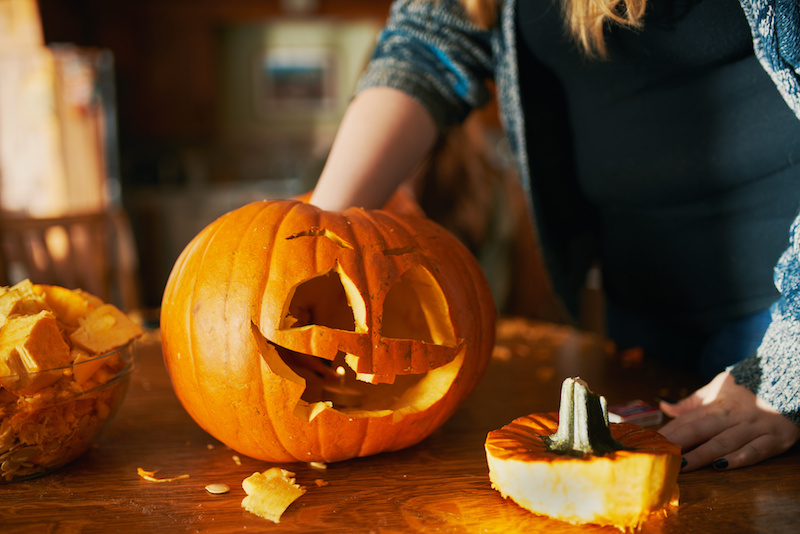 If you carve something detailed, spritz the pumpkin with water as you work to keep it workable. This is what the professionals do when they are carving for several hours. Don’t throw away scraps. You can use these for various 3-D elements on the outside of the pumpkin – hair bows, hands, tongues, and more! Keep your pumpkin cool. Use LED lights and put it in a cool area each night (if you can). Exposing a pumpkin to warmth you can cause it to spoil more quickly. That would be a shame after spending so much time carving. 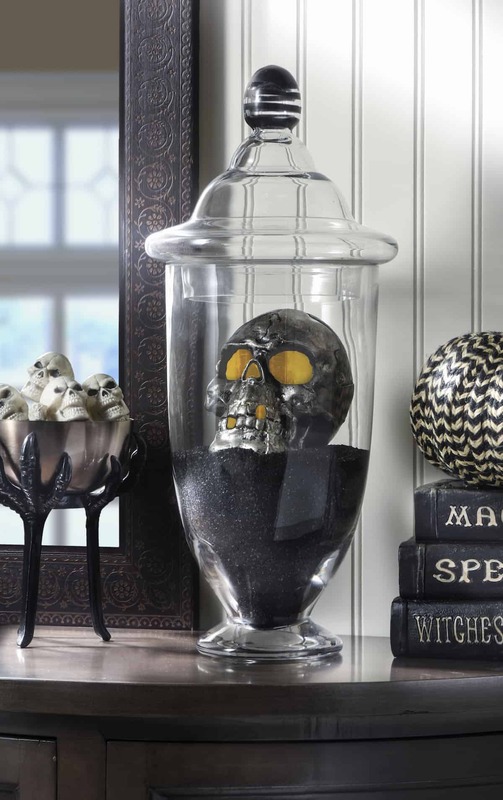 Are you ready for the pumpkin carving ideas? These are so unique that they are sure to blow your mind. Which one will you try this year? Scroll down to see the pumpkin carvings, then let me know! 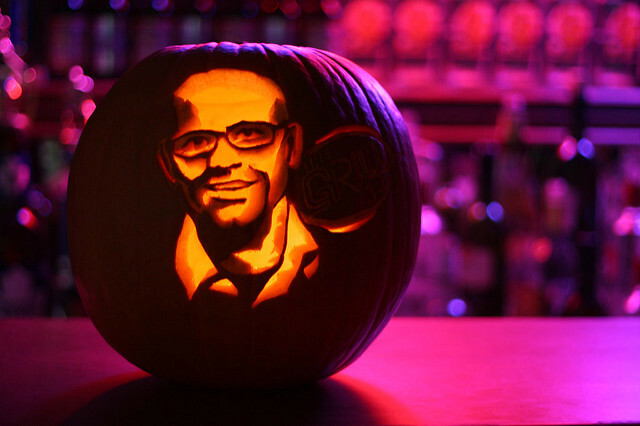 Surprise a friend or relative by carving their face on a pumpkin using a photo. Learn more about HOW to carve a photograph onto a pumpkin here. 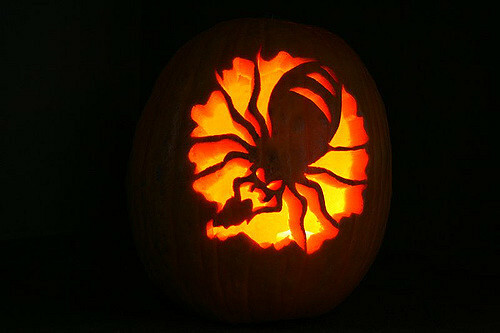 Not only is a spider crawling on this pumpkin, but he’s taking a chunk out of it! 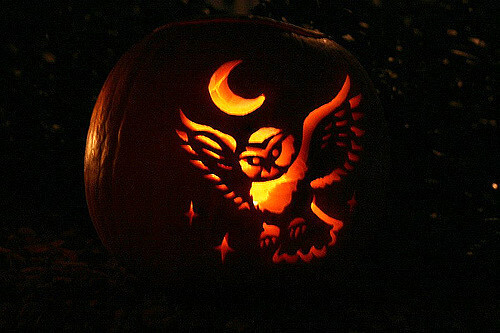 An owl flies near the moon in this impressive carving. Where’s it going to land? WHOOO knows! Okay, that was bad – I’m sorry (not really). 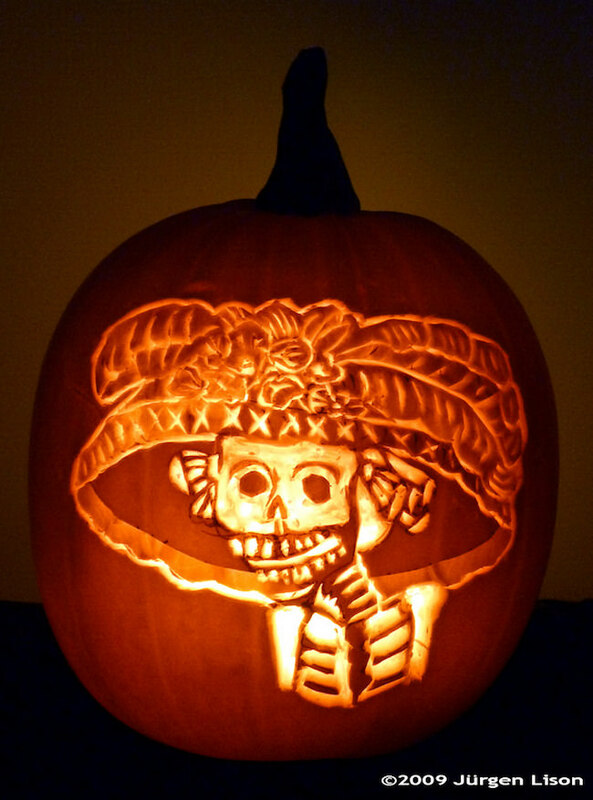 Celebrate the Dia de Los Muertos with a carved skeleton wearing an impressive hat. The nice thing about this carving is that even if you’re not TOO detailed with it, it will still look good. 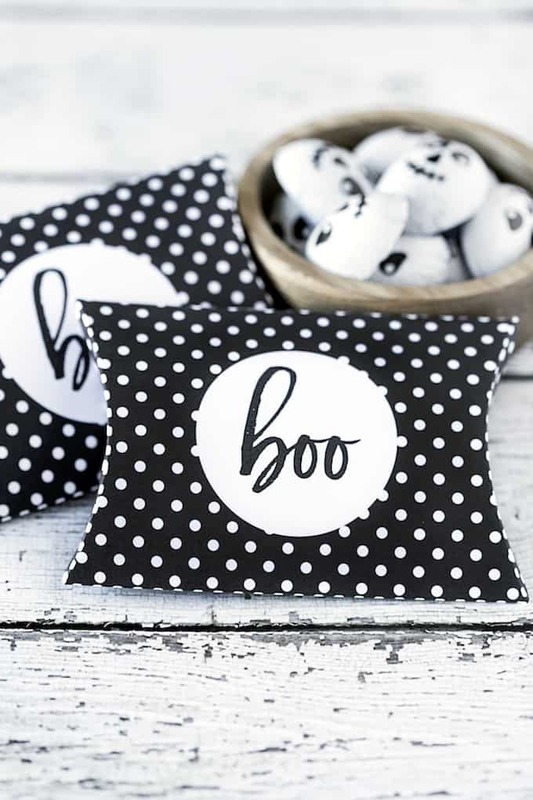 This cute idea has a hand plucking a mini pumpkin out of the air. 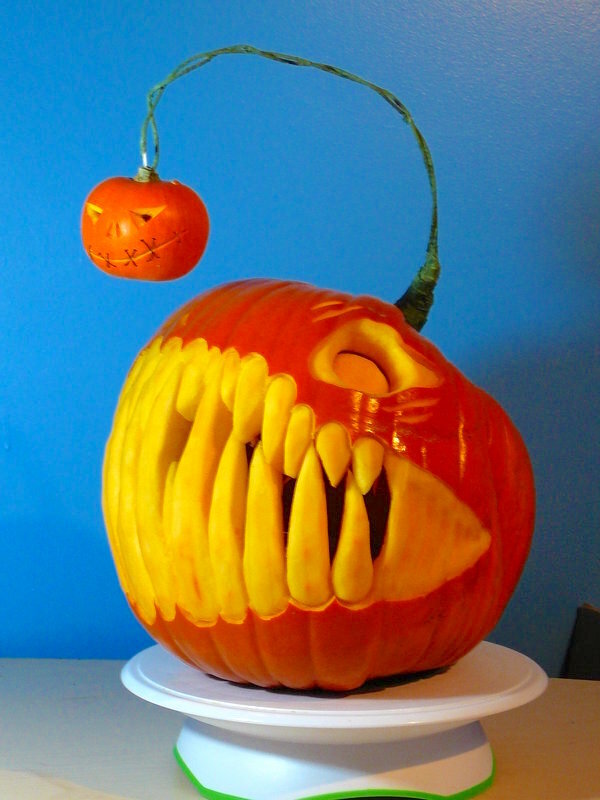 This design only goes halfway through the pumpkin, but even if you cut all the way through it would still look good. 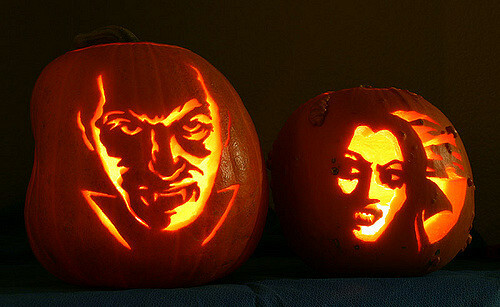 Dracula looks a little too realistic in this carving, and I love the addition of his bride Vampira (I never knew her name) on the pumpkin next door. 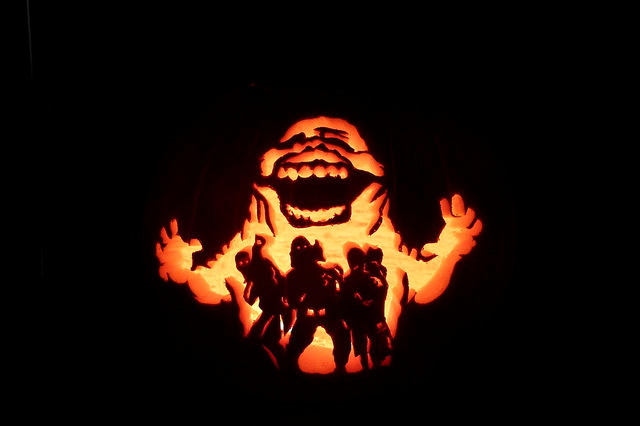 If you love 80s movies, you’ll be a fan of this carved pumpkin commemorating the film Ghostbusters. 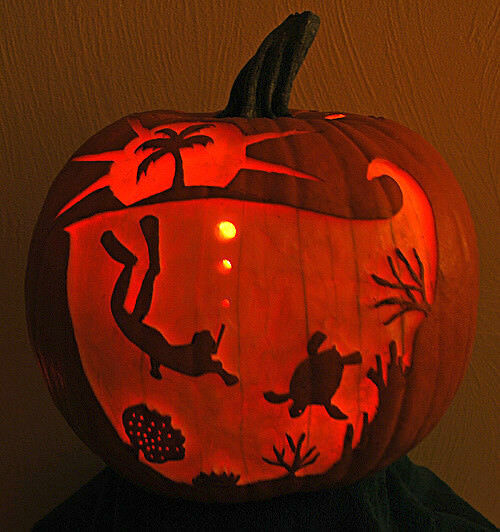 This is one of my favorite pumpkin carving ideas of all time! This impressive scene features a snorkler and sea creatures. I’m particularly impressed by the sun and palm tree at the top. 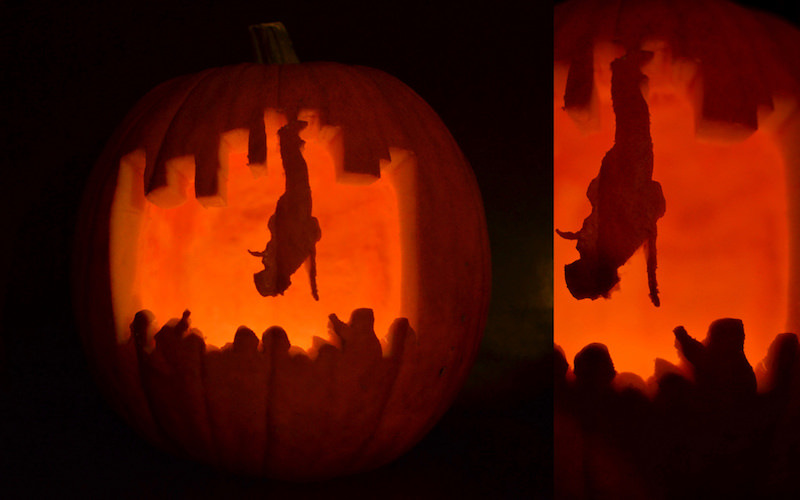 One of Houdini’s infamous tricks is captured in this pumpkin carving, complete with an audience. Who would have thought that a pumpkin imitation could be scarier than the real animal? I have no idea how these teeth were created, but this looks amazing. 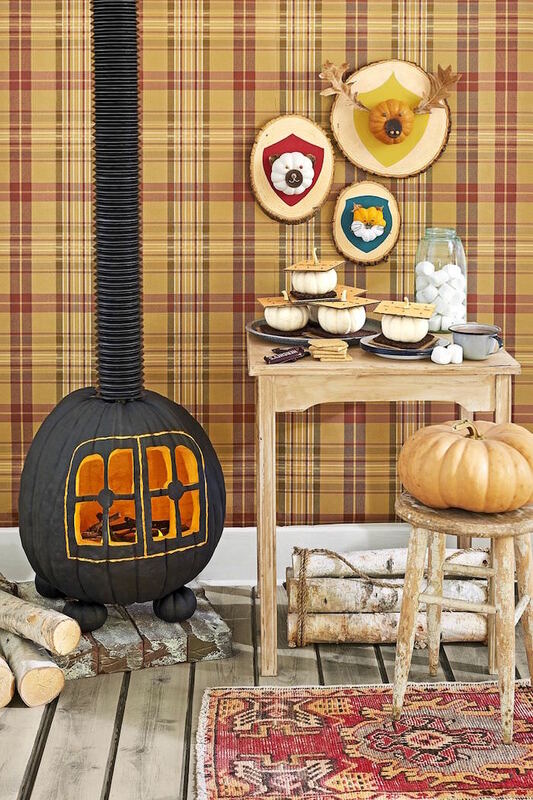 Just when I thought I’d seen all of the pumpkin carving ideas out there, then I’m introduce to this unique wood burning stove! There’s a template at the link should you choose to make this yourself. 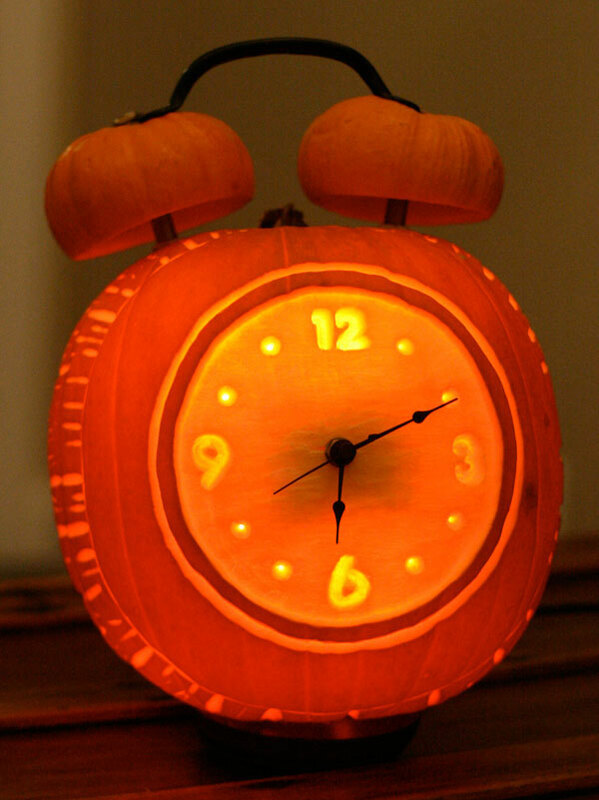 The craziest thing about this alarm clock pumpkin carving? It’s a real clock and the movement works. The clock face was done with wood carving tools. 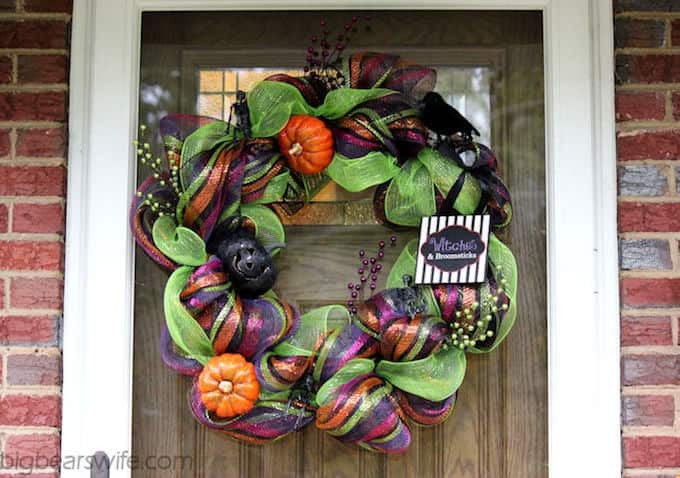 I love the folksy, ornate feel of these pretty pumpkins with flowers and leaves. These pumpkin carvings would be beautiful with farmhouse or rustic decor. What’s interesting about this carving is the way the layers are cut and stacked to imitate a mummy. You aren’t doing carving so much as you are doing cutting! 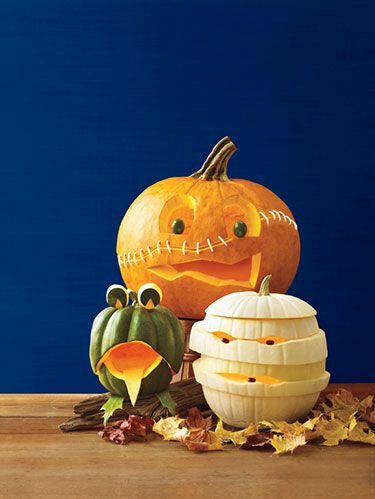 All three of these pumpkin carving ideas are easy enough for anyone to try. Mason jars will always be in style! 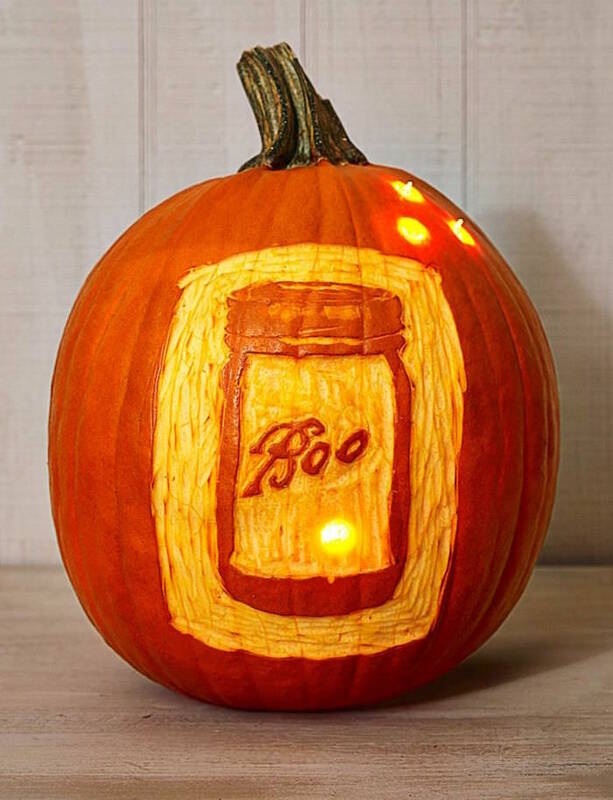 Learn how to make a “BOO” mason jar pumpkin that would look perfect in a farmhouse style kitchen. So cute! Perhaps one of the most detailed pumpkin carvings ever? This amazing design includes pigtails and an amusing expression. 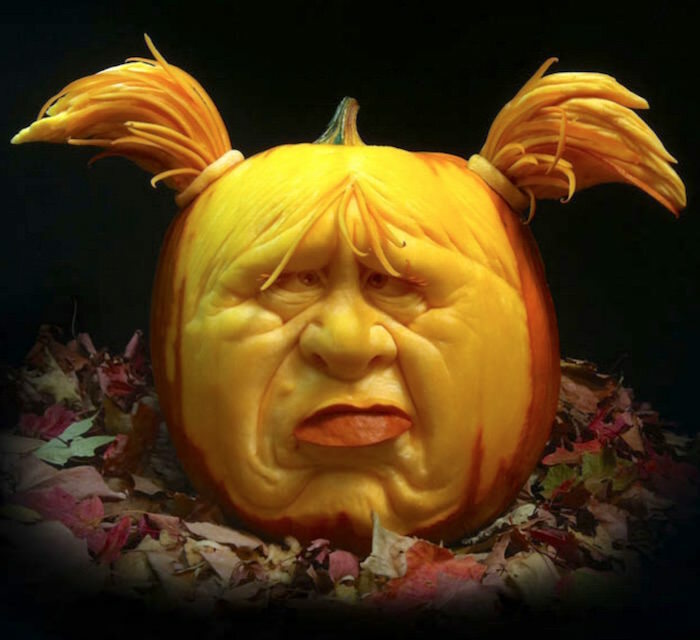 Ray Villifane is one of the most well known pumpkin carvers ever – you can see his website here.